We’d love your help. Let us know what’s wrong with this preview of Art Therapy with Older Adults by Erin Partridge. 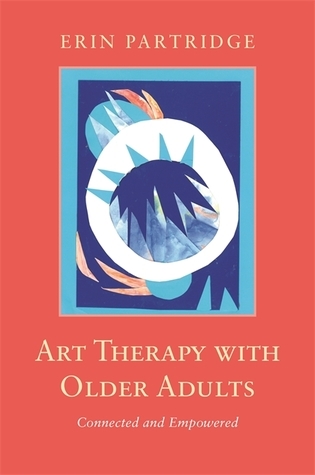 Advocating for a more collaborative approach to art-making, the author presents approaches and directives designed to facilitate community engagement, stimulate intellectual and This book outlines a framework for art therapy with older adults rooted in a belief in the autonomy and self-efficacy of older adults, including those with dementia or other diseases of later life. To ask other readers questions about Art Therapy with Older Adults, please sign up. This should be on the bookshelf of anyone who is currently or is considering facilitating arts programs for older adults. Invaluable for art therapists, but as a community based artist and arts educator & administrator I've found it to be enormously helpful as well. Dr. Partridge weaves compelling stories with research and easy-to-use steps to implement your own programs - even better, all of her guides are flexible and can respond to community feedback. Order this one today!